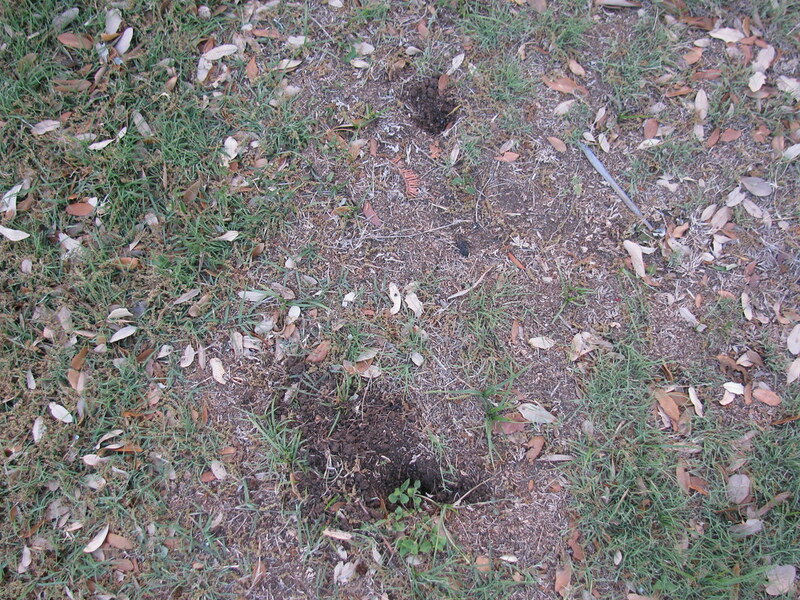 On Sunday I noticed this little random hole in my front yard near the door. I didn't think anything of it. I assumed John could have dropped something, stuck something in the ground, who knows, but it wasn't a big deal. 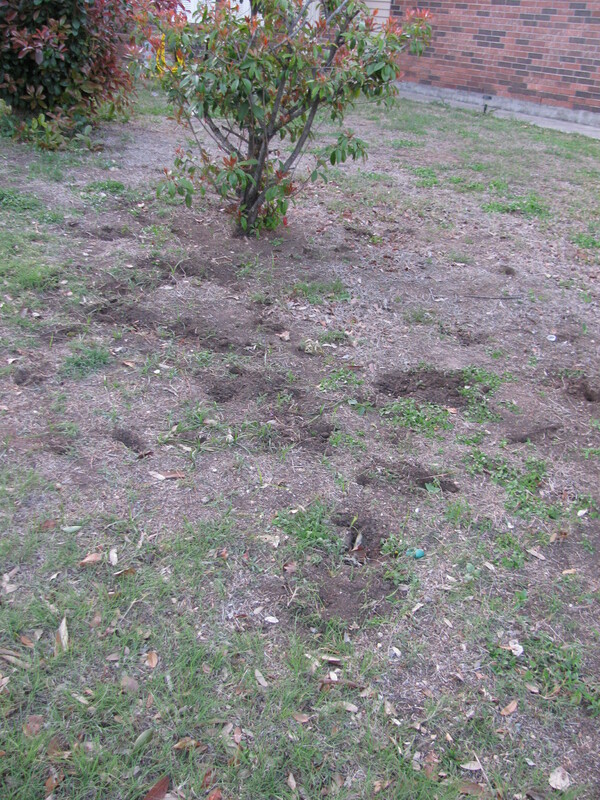 Then on Tuesday I noticed another random hole near the pear tree. I knew something was up. 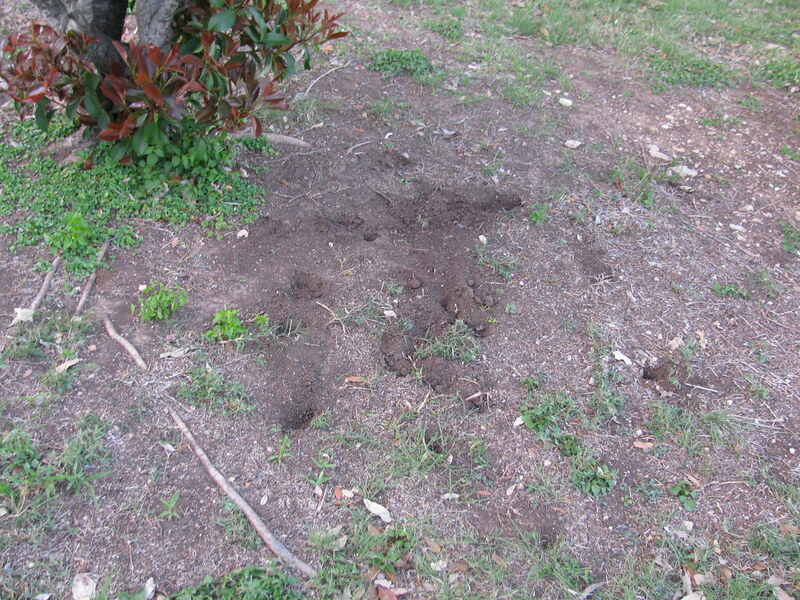 Something has been digging in my lawn! I'm not sure what it is. It smelled faintly of skunk outside so it could have been those stinky little critters. 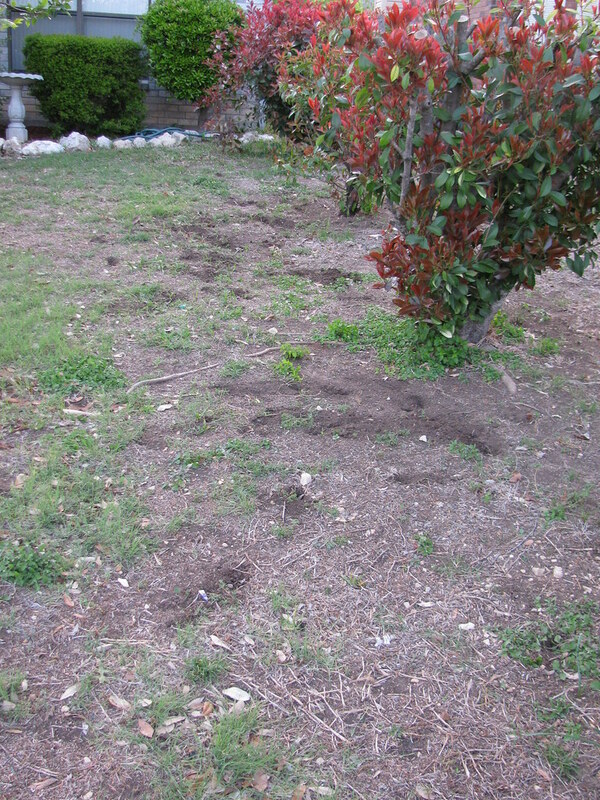 We kind of have a skunk infestation around here. My coworker also lives in my neighborhood and said she's seen both raccoons and opossums so it could have also been one of those. If it wasn't a school night I'd stay up and try to catch what ever it is. Me vs the critter, this is going to be interesting.